1. 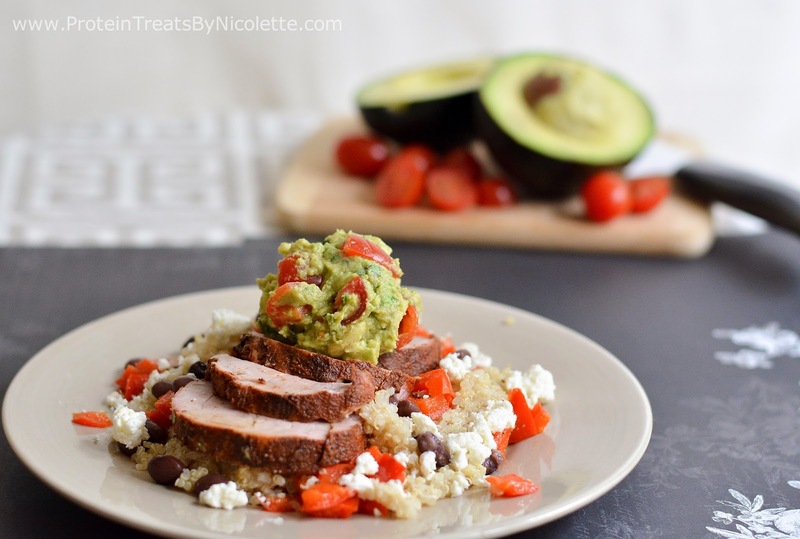 To make the tenderloin, trim the meat of excess fat and silver skin. Toss together all of the spices in a bowl. Using your fingers, evenly coat the pork with spice mixture. 2. Place the pork in a zip-lock freezer bag and place in the fridge for at least 2 hours before grilling. 3. Turn your grill on high heat, or prepare your charcoal grill. Grill pork until internal temperature reaches 140 degrees F. I like to grill the pork on one side about 6 minutes (to create a good seared crust) then turn the pork occasionally until internal temperature is reached. I keep the grill covered during the cooking. 4. Transfer the pork to a serving platter, wrap with foil, and let rest for 10 minutes before slicing. 5. For the guacamole, scoop out the avocado pulp into a mixing bowl and add the lime juice. Gently mash mixture with a fork, leaving it slightly chunky. Add the remainder of the guacamole ingredients and stir gently until well combined. 6. 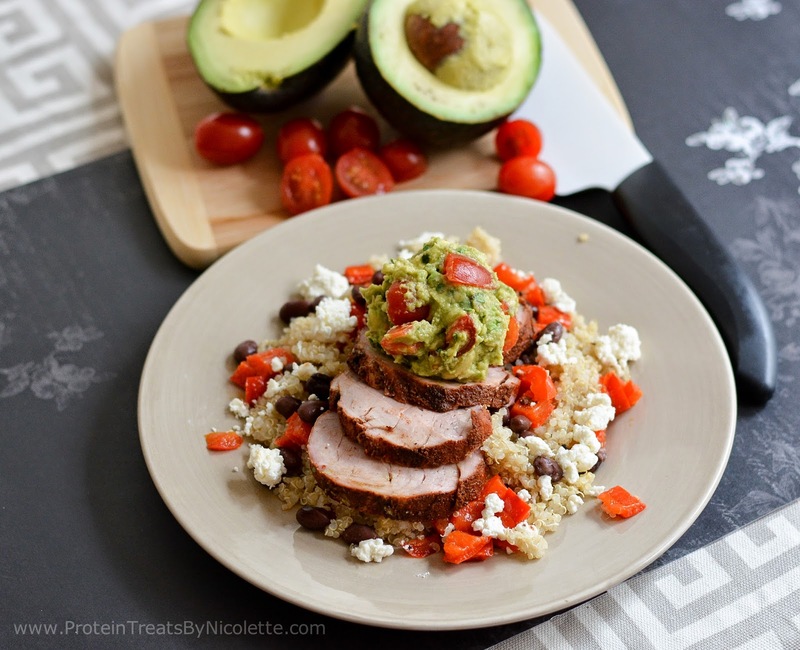 Serve sliced pork on top of cooked quinoa that is mixed with roasted red peppers, feta cheese, and black beans with a scoop of guacamole on the side.